Introducing cats and dogs the easy way. When you are introducing cats and dogs into your home or vice versa there are certain stages and precautions that are best be taken both before and during the introduction stage. This will prevent any fights or unfriendly feelings between both animals. I can say from personal experience that introducing your two different furry friends together without going through any of these preliminaries is a bad idea! In the beginning, our dog was very aggressive towards our cat, which is a normal response. 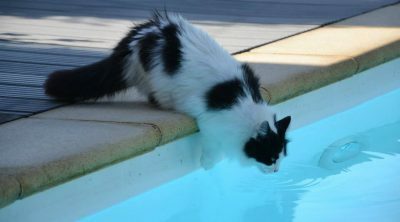 However, with a little more preparation we could have saved our cat a lot of anxiety, and the how to’s of that is what I will discuss in this article. Before you take your new pet home, whether it be dog or cat, gather some of their personal belongings such as toys or towels which have their scent on and place them in the resting place of the other’s home ie their bed. This way they will get used to each other before they even meet. Also it prevents your first pet at home from blaming all of the changes on the new pet, as things will already have started changing before the new pet was introduced. Once you have done that and brought your new pet home, make sure you have them both in different rooms. 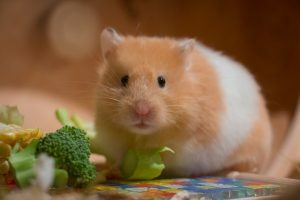 Putting them in the same room at the outset is not a good idea as first the new pet needs to get used to the new environment first and will be overwhelmed with too many new things at once. Leave your new pet in this same room for a few days to let them get used to it. If they are a cat then once they start to relax and become comfortable then you can allow them to wander the entire house. However, before you do this, make sure your dog is in a crate first. 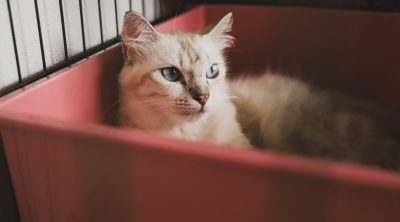 If your new pet is a dog, then put them in the crate in the room they were in and allow the cat to come into the room again that was previously closed off. Cats do not respond well to restriction ie lack of freedom, and dogs generally respond better, thus having your dog in a crate will be best. This will help them stay there longer, which is what will happen for the next couple of weeks. When introducing cats and dogs for the first time, you’ll need to separate them at certain times of the day. Your dog will need time and space to roam around, he will also need to be taken out for a walk and go to the toilet. Always remember to keep them on a leash when walking them through the house so that they won’t try to eat your cat up if it’s lurking close-by! This stage is the most important, where they can see each other and be in the same room, but still be separated. They need to learn to get used to each other which is the minimum you want, but ideally they will become friends too. Make sure to tell your dog off with a stern no if they become aggressive either through barking, staring, or adopting a dominant stance. Reward them a treat when they revert to good or more preferred behavior. Make sure also that your cat does not try to wind up your dog. Cats in their very nature like to tease other animals, which is why cats will tend to annoy well-trained dogs more than the other way round. I know our cat Sox used to play with Kaba’s tail which he would ignore, but you could tell it would annoy and tease him! Once both animals have started to relax around each other in the same room, then you can let your dog out of the crate and keep him on a lead for another couple of weeks. Once you are sure both of them are on friendly terms, then you can remove the lead and keep an eye on them to make sure nothing untoward ends up happening.